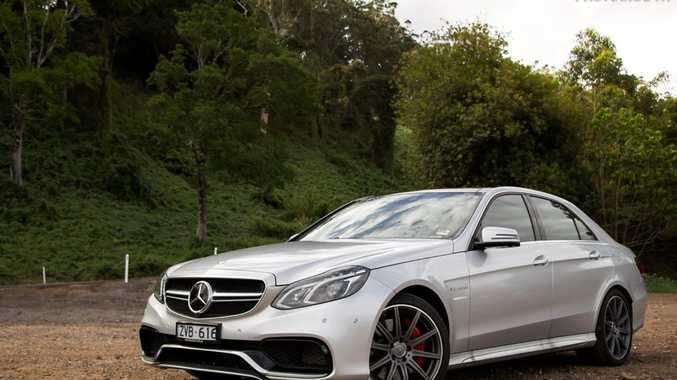 The Mercedes-Benz E63 AMG S.
FOR this weeks blog I am featuring the most powerful E-Class Merc' ever built, the beautiful 2014 Mercedes-Benz E63 AMG S.
This means the 2014 E63 AMG S has 11 more kilowatts and a whopping 260 Newton metres of torque more than a $500,000 Lamborghini Gallardo LP550-2... and this Benz can carry five full size adults with plenty of extra legroom. 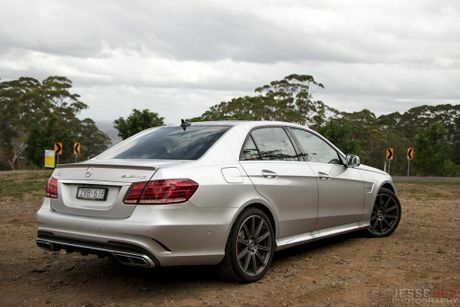 Australia was lucky enough to get the E63 AMG S in rear-wheel drive, the only country to do so as the whole of Europe, the United States and many other countries can only order it in all-wheel drive. The rear-wheel drive E63 AMG S that we have here in Australia will launch from 0-100 kilometres per hour in 4.2 seconds, and it will keep accelerating until it reaches its electronically limited top speed of 250 kilometres per hour (155 miles per hour). The acceleration is absolutely incredible considering that this car weighs in at about 1900 kilograms. When riding shotgun you would not expect the car to weigh that much, it handles its weight exceptionally well, especially when cornering and under heavy braking. The seven-speed dual-clutch AMG Speedshift MCT gearbox helps the E63 reach its 0-100kmh acceleration time too. Some other features that this Mercedes is equipped with includes 19-inch, 10-spoke alloy wheels, rain-sensing wipers, a rear lip spoiler, a power glass sunroof, MacPherson strut front suspension and multi-link rear suspension, four-wheel ABS as well as traction and stability control, post and pre-collision safety systems, electronic brake force distribution, emergency braking preparation and assist, a leather interior with front sport seats, dual-zone climate control, a charcoal air filter, a navigation system and much more. The E63 AMG S currently sells for just under $250,000 which is compared to the BMW M5 at $229,245 AUD and the Audi RS6 at $230,000, and although it is a little more expensive than its competitors, I believe the E63 AMG S is the best car out of the bunch.